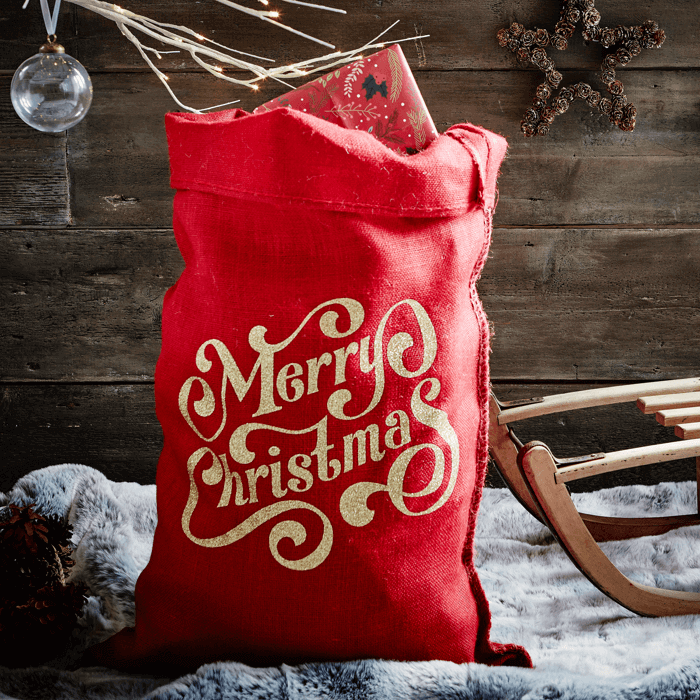 We’ve added a sparkle to our distinctive Merry Christmas message, written in a decorative serif type, and printed it onto our red hessian sack, complete with gold print. Measuring 80 x 53cm, this sack comes with one metre of branded crimson satin ribbon to tie around the top. Hand finished in Great Britain. Sack came today. The printed Merry Christmas message has a very professional look. looks gorge next to the red sack!